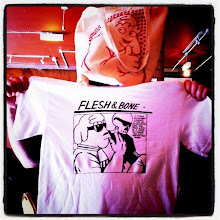 50th entry, 42nd flesh and bone. That means 8 non-pertinent posts. Make of that what you will, I know I will. As ever, click the small strip to make it a big strip. no.40 of the flesh and bone franchise, that most famous of all landmarks. the big four oh!